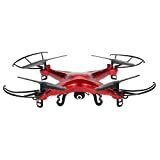 Like other SYMA drones, Syma X8SW is also one of the best quadcopters that people love to buy and utilize its features. It has an excellent design with the awesome build quality. The easy availability of the spare part is another factor that users attract toward the Syma Drones. Syma X8SW is light in weight with approximately 1.5kg. The weight is in the presence of the camera, battery and pop guards. The dimensions and the measurements of the Syma X8SW drone are approximately 50*50*19cm with the attached pop guards. Syma X8SW battery is a powerful battery of 7.4V 2000mAH that will keep your drone flying for more than 9 minutes. The motor size is approximately 15mm. The controller can control the aircraft for the distance of 100m approximately. 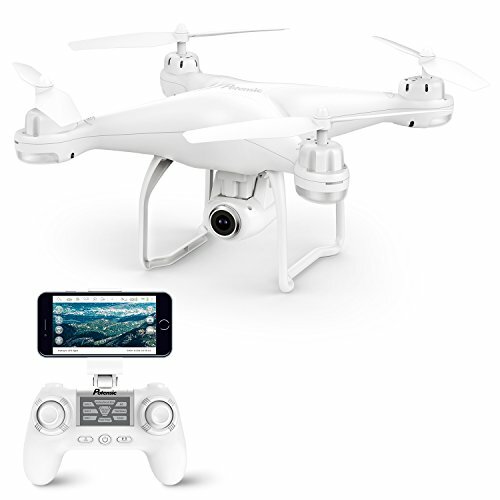 Click Here To Check Out The Cheapest DJI Drone. This model from the Syma toys is stylish and cool that is available in two colors that are black and white. The body is made of plastic like material that is durable and not brittle. It can resist the shocks and does not get damaged in case if accidentally falls from the height. The design is compact and the weight is enough to keep the drone stable at high air pressure. The drone contains the brushed motor that helps in the stable movement of the drone. The speed is controlled through the transmitter. The user can control the motor speed and can set it in high or slow mode speed. The drone is operated in headless mode and can flip to 360 degrees. LED lights are present two at the front are red in color while those present in back arms are of green color. 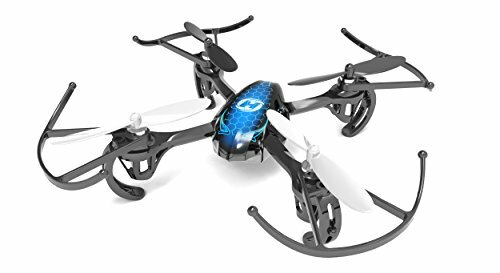 The person can use the drone at night time because of the colorful sharp LED light to locate the position of the device. This model of the SYMA drone contains the built-in camera but the camera is adjustable. The camera has the micro SD slot which contains 4GB memory card, so the user can store the images and videos on the card. It is the best part as if the user does not connect his Smartphone; the images are automatically saved to the mounted SD card. The camera resolution for both the videos and the images is 1280*720 p. The one minute video acquires 35 MB. The camera is able to capture the good quality videos but not HD quality. As the device is started, the camera automatically connects to the Wifi hotspot and takes 20 seconds to get ready for capturing the images. With the adjustable cameras, the user can record the videos and capture the aerial photography from different angles. Four propellers are present which are screwed with the plastic type material. The blades are protected with the plastic protective circle. In this case, if the drone falls or collides with something, the blades will not get any harm. To activate the FPV it is important to install the SYMA FPV application in the Smartphone. In this way when the device is connected to the Smartphone through Wifi hotspot, it will automatically convert into FPV mode. As soon as the phone is connected it will provide the real-time images. 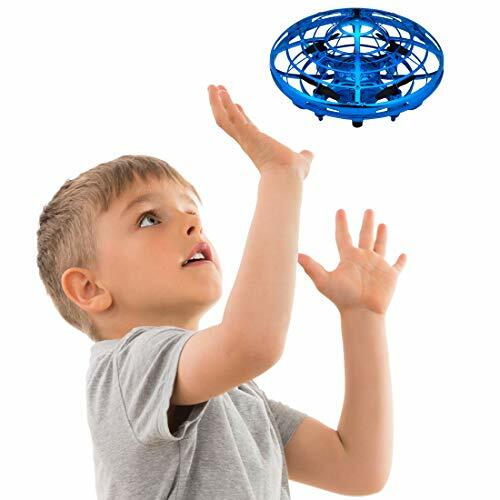 This model of Syma Drones provides the good flight time as compared to other models. This is because of the presence of the powerful battery with 7.5 V and 2000mAh. Without pop guards, the user can fly the Syma X8SW drone for approximately 11 minutes. It takes approximately 150 minutes for complete charging of the battery. The powerful and advanced Syma X8SW battery system is present that is enough to fly the drone and provide more flight time as compared to other models. The controller or transmitter contains the left and right joysticks along with the power button. To get the automatic take-off or landing the front right shoulder button is used and the right control stick is used to change the speed of the drone. Rear right shoulder button is used to activate the 360 flip control button. To activate the headless flight mode the user has to press the right stick for a long time. Phone attaching clamp is present that help the user to connect the Smartphone. The controller is operated with the help of 4 AA batteries. The drone is operated through the headless mode. By the activation of this mode, there is no need to position the controller towards the head of the drone; the user can control the drone by keeping the controller in any direction. This is easy and convenient as there is no need to move with the drone, especially towards its head direction. The special SYMA charger is used to charge the device. It comes with a USB charger and the power adaptor. It is powerful and charges the device in 150 minutes approximately. 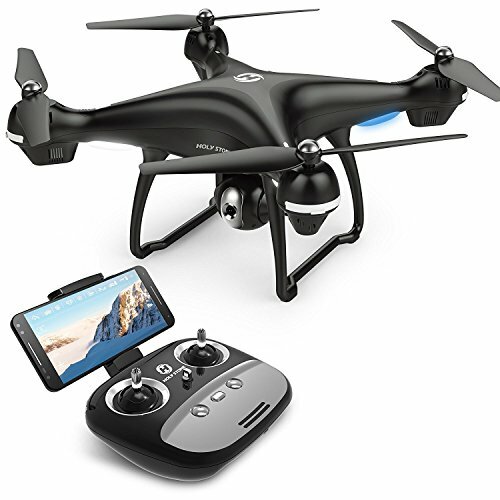 The device is connected to the Smartphone through the SYMA application and for the activation of the FPV mode the SYMA FPV application is available for both the Android and the IOS user. They simply have to download the app and enjoy the real-time aerial photo shoots on the phone. It does not come with the bag to take the device safely to other places. For this purpose, the user can buy the backpack specially designed for the drones so that there remain safe in case of an accident or shock during traveling. The bags contain the inner foam layer and the outer part of the bag is water resistant so one can confidently move in the rain if the device is present in the special drone bag packs. It is the device available at an affordable price, the presence of the FPV system makes it superior to another model of the same brand. The person can buy it as it has additional features and the good flight time. The device comes with the excellent feature, the built-in camera provides the user with the good quality images. 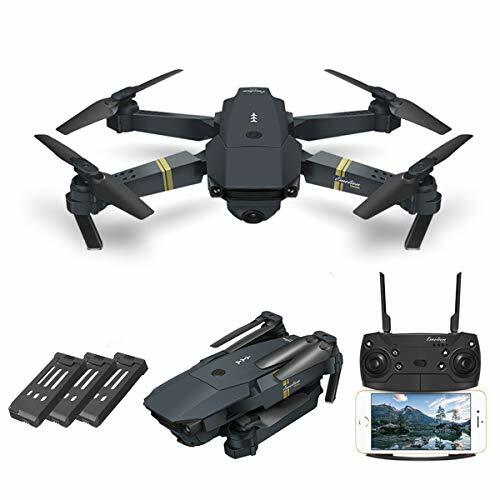 It is suitable for outdoor flights, if the user tries to operate inside the house it may produce much noise which may be annoying, try to capture the outside images of the green filed as well the hilly areas. It is stable during flight and one can easily control it. the altitude hold feature is good and compatible for the new users. The presence of one key, one button landing, and takeoff option is best for the beginners as they easily learn to operate the aircraft. It is one of the best models available in the market with the best design and the superb lifting power. 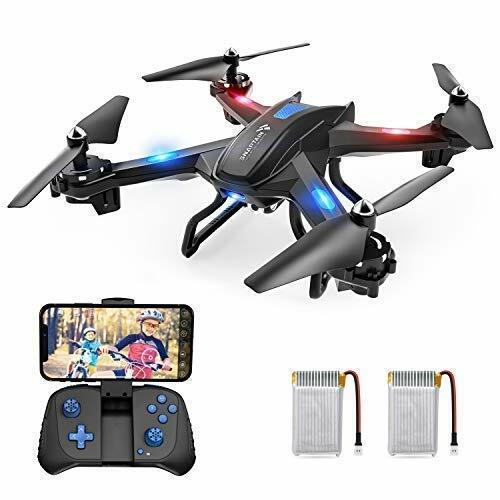 Although the FPV camera is not of superior quality it is not the worse option for the beginners and those who want to buy the device for the sake of the practice to fly the drone. 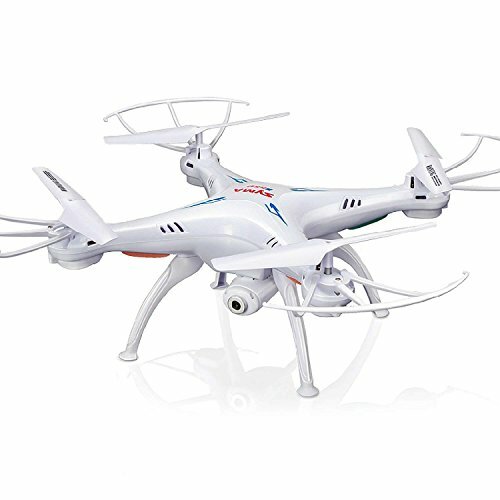 Those who want this device must purchase an extra Syma X8SW battery to enjoy with the copter for maximum time. 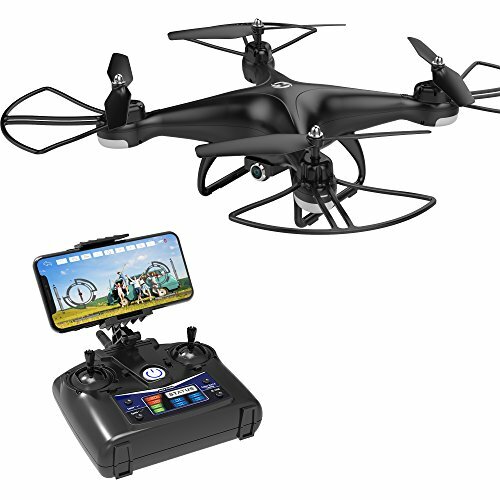 Those who are new users of the drone especially have brought the SYMA X8SW FPV model can watch the following videos to learn about how to fly and operate the drone. In this way, they can fly the copter with convenience.